After all the excitement we had at The Stables at Russell Crossroads last weekend, I thought I would share some photos from an event we did there during the spring. 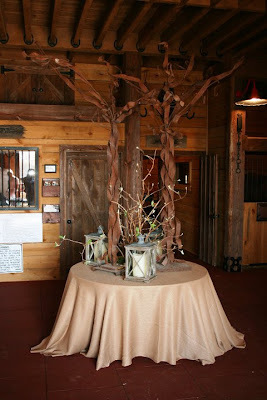 As you know, J.D and Yaicha Brown hosted their wedding weekend at Lake Martin and chose Spring House for their reception and The Stables as their rehearsal dinner venue. J.D. 's mom has amazing taste and I was thrilled when she asked me to help her with a few of the details. Mrs. Brown wanted the look to be masculine, yet a touch of Spring given the time of year. She hired the talented Carole Sullivan to handle the flowers, and of course, Carole nailed it! 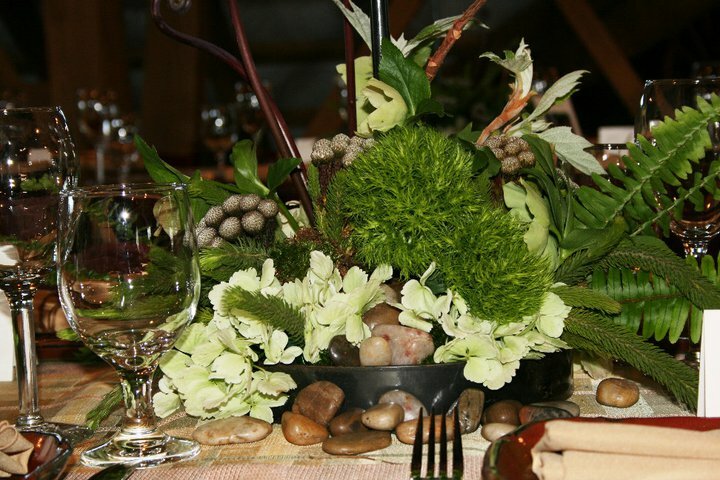 The ferns, pebbles and moss were a perfect match for the iron bird containers. The Good Earth Pottery was a fabulous substitute for the typical rental plates. Nice linen napkins were also a great addition to the place setting. 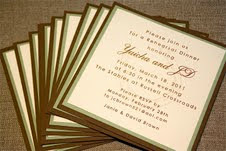 Allene Neighbors made a custom invitation and place cards to match the look of the event. We glued a tiny copper horseshoe on each place card and displayed the cards on a board of rustic nails. I am sick to say that we did not get a photo of the place cards. It was by far one of the cutest place card displays we had ever done. The party started off with a cocktail reception downstairs with a great two man band. 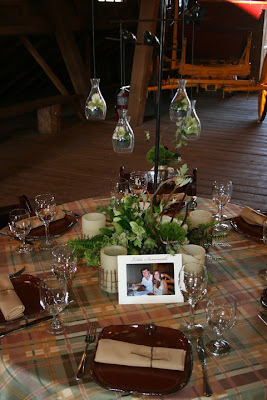 The guests were then invited upstairs for a seated "family style" dinner. 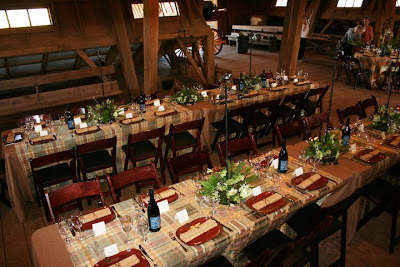 There were farm style tables and round tables. All the guests enjoyed good company over the gourmet "comfort" food prepared by Spring House. After the toasts, the guests were invited to help themselves to a s'mores kit and head out to the stone fire pit for marshmallow roasting! The two man band started up again and an "after party" quickly became a highlight of the night. The Stables is an amazing place to host any type of event. Linda and Stanley are a delight to work with, and Spring House always knocks it out of the park with the food!